A tulle ball gown with a beaded lace appliqued bodice, deep V back and 3D flower detail. We absolutely love this stunning bridal gown as it is a show stopper- must be tried on to do its justice. 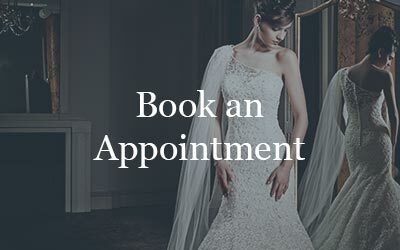 Book your appointment now via our website or simply call us 01622675009.